Yesterday, NASCAR announced some pretty big changes that are going to impact the sport in a lot of ways. The announcement seemed like the perfect thing to talk about here in my blog, mostly because I’d like to hear your reactions to the changes, and keep the dialogue going about how we can keep improving racing. Before we jump in, I should say that I was actually part of the exploratory group that helped come up with these changes. It was made up of 15 or so people, all representatives from different branches of the sport—drivers, team directors, tracks, media, and of course, NASCAR. All of us were faced with the same question: What do we need to do to allow the sport to thrive in the future? For me, the new changes are a big step in the right direction. I’ll explain why. To point NASCAR toward a future that makes sense, we had to be honest about where things are for us as a sport. They’re pretty good, but we have a lot of challenges that we can’t ignore if we want to not only stay relevant, but grow. For a long time, NASCAR used to be easily the largest spectator sport. 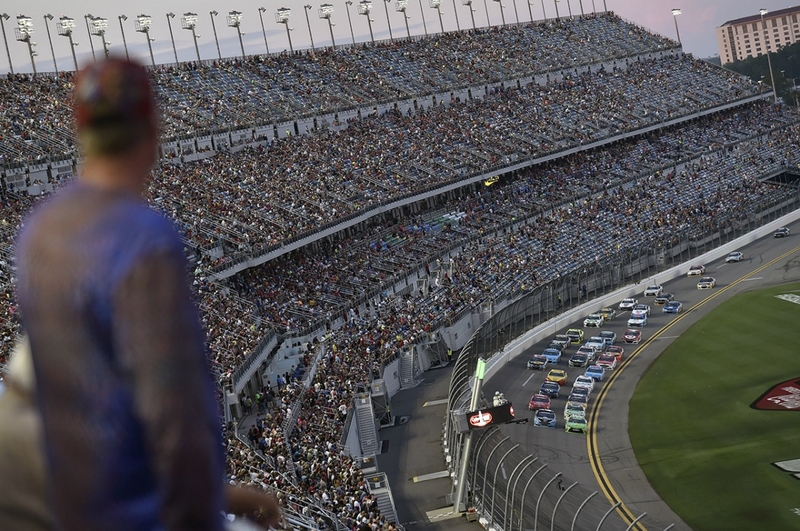 With 36 races a year averaging 100,000 in attendance, NASCAR was putting up massive numbers. That’s really changed—not just for NASCAR, but across the sports world. You’re seeing smaller arenas get built because fans want a more intimate experience, and the viewing experience at home is pretty high-quality. Spectator sports are not as strong as they used to be. We have a lot of challenges that we can’t ignore if we want to not only stay relevant, but grow. Not having as many fans at races creates a whole other challenge for our sport, primarily because seeing a race in person used to be a big way to draw new people in. If you go to a track and hear the roar of an engine, or see a car going so fast it looks like it’s vibrating, your brain connects to racing in a way it can’t from watching TV. You might watch the next race from home, but after being at a race, you know what you’re looking at in a different way. Without that, you miss out on that sense of speed. You can’t convey on TV what it takes to be a talented race car driver. There are other challenges that we face at the tracks, too. The coming generation of fans aren’t working in factories the way the generation before them did. They’re much more noise-sensitive, and watching a race in person can be a bit shocking if you’re not used to noise. They’re also not as car-crazy as their parents and grandparents once were. “The car is the star” used to be one of our easiest parts to convey to the sport and its fans. Finally, there’s more competition in the sports world than ever before. Finding a way to connect to millennials in general is tough. You can play soccer, baseball, basketball and football in elementary school. You can play a lot of that stuff. You can’t play racing. But the biggest shift across the entire sports landscape has been in spectator sports shown live on TV. Of the 100 most-viewed shows last year, 88 of them were live sporting events. Yes, there’s still sitcoms and all that, but 10 or 15 years ago, the biggest TV shows were shows like Seinfeld or Survivor. That’s not happening anymore. The biggest shows now are things like Football Night in America. They’re spectator sports on TV, live sporting events. So that’s really changed the dynamics. And while our spectatorship has gone down and our TV numbers haven’t necessarily gone up, the value per person to advertisers has gone up dramatically. If I’m an advertiser who wants to advertise on TV today and I want to reach an audience where people are going to be watching, I’m buying a sporting event. 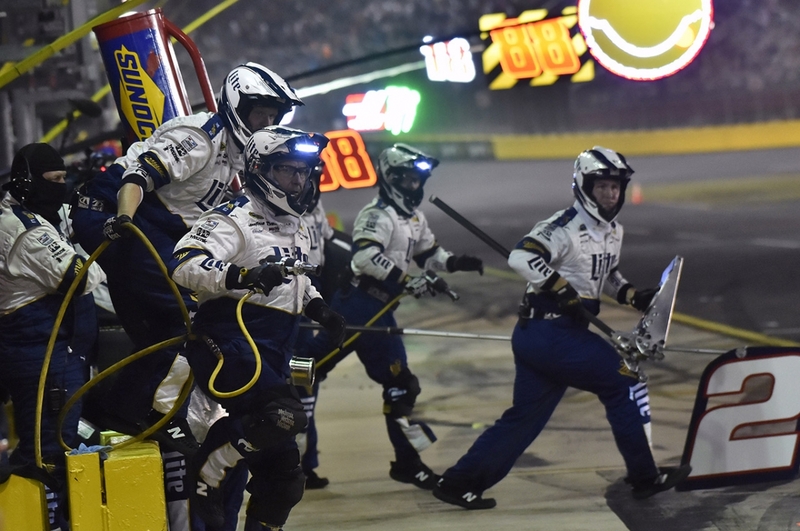 As a result, NASCAR—and all sports—are able to demand rights fees that are higher than ever. Back in the 1990s, somewhere around 10 million people watched the broadcast of the Daytona 500. The rights fees were around a couple million dollars. Well, about the same amount of people watched it last year, but the rights fees for Daytona were worth about $100 million. Because TV is able to afford higher rights fees, instead of catering to on-site spectators the way sports did 30 or 40 years ago, sports are catering to TV. That’s how sports are being consumed. That’s where the money is. Of the 100 most-viewed shows last year, 88 of them were live sporting events. Everything I just described is why NASCAR is in the position we’re in. To continue to thrive, the sport needs to be more TV-friendly than ever before. So it’s being changed in that way. As was announced Monday, we’re essentially going to put TV timeouts into motorsports. But the way NASCAR is going to do it, to me, is going improve the sport in a number of ways. Each race will be divided into three parts: two stages and the finish. 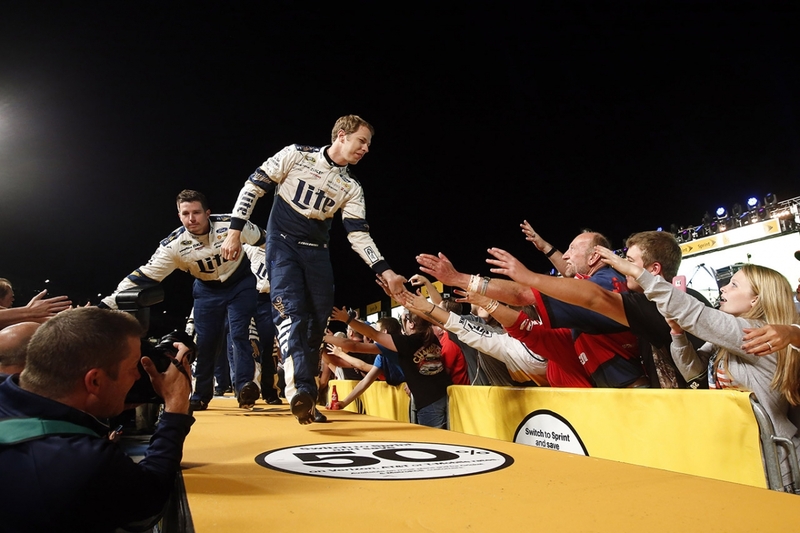 The top driver for the first two stages—which will basically provide the TV timeouts—will be awarded a stage win and one playoff point, while the race winner earns five playoff points, which will carry over to the postseason, adding a whole new incentive to races. Additionally, the Top 10 finishers for each stage will earn additional championship points. If you win both stages and the race itself, you’ll wind up with the equivalent of a hat trick or a perfect game, with 40-odd points for the race win, and another 20 to 30 for the stage wins. Maybe NASCAR can have a contest to see what winning two or three of the three race stages will be called. It’s going to be a huge change, and what I like about it is that it gives us more moments within each race to care about. Right now, you can fall asleep early in the race, wake up at the end and see the ending, and if you only care about who won, guess what: You saw everything you needed to see. You saw the end, the only moment that mattered. That doesn’t work. We need fans to want to watch the entire race, and now, they’ll have really clear reasons to do that. Now, it’ll mean something more, because I’ll have won at least one stage, maybe two. It will give fantasy racing fans more to care about, too. With live scoring, people’s fantasy racing teams will be picking up points as the race goes on. Especially for the next generation of fans, who have so much competing for their attention, this change is a positive one. It gives them reasons to keep paying attention. Finally, stage scoring will also make NASCAR the first motorsport to showcase live scoring instead of being scored solely off the finish, which is a nice point of distinction. We need fans to want to watch the entire race, and now, they’ll have really clear reasons to do that. The other big change that goes hand-in-hand with stages is that all playoff points won during the regular season will carry over throughout the postseason. So instead of having everyone’s point totals reset when the playoffs begin, stage and race winners will have the extra bonus of keeping those points throughout each stage of the playoffs, all the way to Homestead. I love this, too. It makes winning during the year worth more throughout the entire season, and can prevent top contenders from being knocked out of contention by one blown engine during a critical playoff race. Now, we have to be careful about our core fan. We don’t want to alienate our diehards, who already appreciate all of the different dimensions of NASCAR, and don’t feel like they need anything new. For those people, TV timeouts might feel like a bit of a tough sell, and I get that. At the same time, they won’t be too long, and what we lose for those pre-scheduled breaks in the action, we’ll gain in live action that actually means something. Hopefully, we’ll see fewer eyebrow-raising cautions in the final minutes of races, and the stage additions will just keep everything flowing. But I’m curious to know what all of you think about these changes. Do they sound like improvements to you? Would you rather have things stay the way they are? Post your comments here or on social media with the hashtag #NASCARChanges. Let me hear what you have to say!